Toronto Film Society presented The Scarlet Pimpernel (1935) on Sunday, October 22, 2017 in a double bill with Sherlock Holmes and the Secret Weapon as part of the Season 70 Sunday Afternoon Film Buff Series, Programme 2. Production Company: London Film. Producer: Alexander Korda. Director: Harold Young. Screen Play: S.N. Behrman, Robert Sherwood, Arthur Wimperis, and Lajos Biro, based on the novel by Baroness Emmuska Orczy. Cinematography: Harold Rosson. Special Effects: Ned Mann. 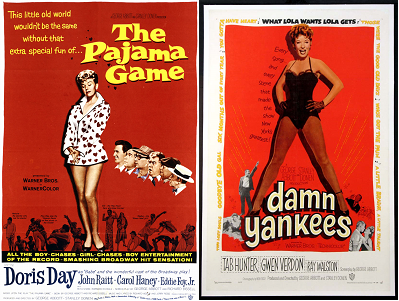 Production Design: Vincent Korda. Film Editor: William Hornbeck. 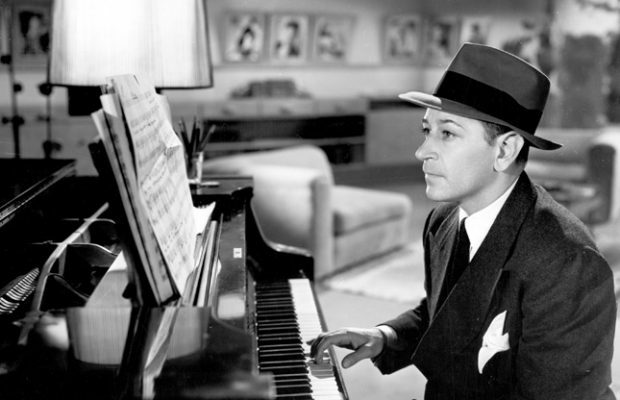 Music Score: Arthur Benjamin. Music Director: Muir Mathieson. Costumes: John Armstrong and Oliver Messel. Sound Recording: A.W. Watkins. Release Date: February 8, 1935. 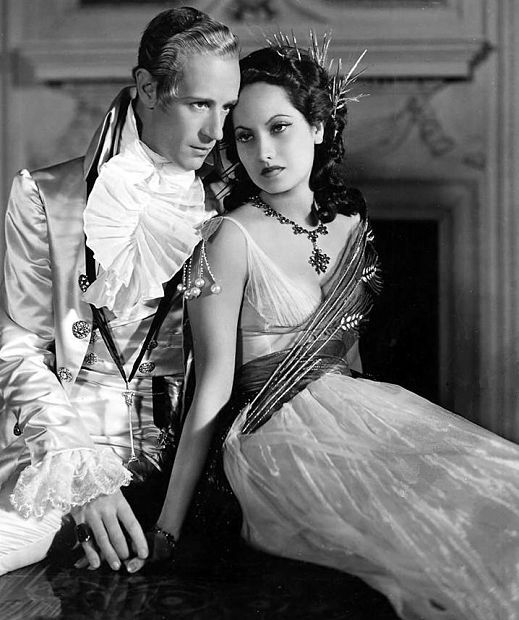 Cast: Leslie Howard (Sir Percy Blakeney), Merle Oberon (Lady Marguerite Blakeney), Raymond Massey (Chauvelin), Nigel Bruce (The Prince of Wales), Branwell Fletcher (The Priest), Anthony Bushell (Sir Andrew Ffoulkes), Joan Gardner (Suzanne de Tournay), Walter Rilla (Armand St. Just). With regard to The Scarlet Pimpernel, the author, Baroness Orczy was a member of a noble Hungarian family, born in 1865. Her parents were forced to leave Hungary in 1868 in fear of a peasant rebellion and lived in various European countries before settling in England in 1880. She tried to earn a living for herself and her husband as a writer, but had little success with her first novels until she and her husband wrote a play based on one of her stories about an apparently foppish and ineffectual English aristocrat Sir Percy Blakeney who rescues French aristocrats from the guillotine under the alias of the Scarlet Pimpernel. The play was a huge popular success with 2000 performances in London and equal success all over Europe. She followed this up with a dozen sequels featuring this character and also numerous historical novels that were enormously successful at the time but are now mostly forgotten. Tonight’s film, starring Leslie Howard, is considered the best of the series. The Pimpernel character is often thought to be the origin of dual identity characters such as Batman, Zorro and Superman. “Alex was Hungarian, imaginative, intelligent, extravagant. 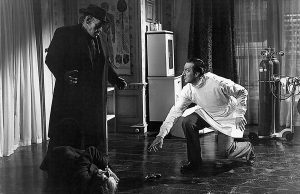 The “auteur” theory of film authorship may apply most often to directors, but other artists can certainly acquire the label, be they writers, actors, cinematographers, or composers. 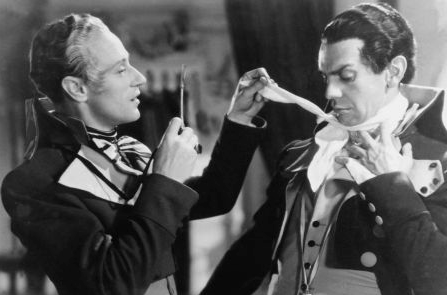 The Scarlet Pimpernel (1934), one of the great costume adventure films of its time, is the work of an auteur producer, Alexander Korda. 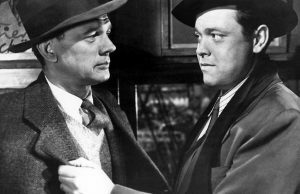 His stamp is simply all over the movie, beginning with the script’s overall wit and humour—two qualities which were in short supply in the original source material. The Scarlet Pimpernel began life as a 1905 play by Hungarian Baroness Emmuska Orczy and Montague Barstow. Three years later, it was novelized by Orczy as the first of a series of novels. The story is set during France’s Reign of Terror. Innocent French noblemen are being guillotined daily, but a mysterious man heroically rescues many of them, always leaving behind a small red flower—a pimpernel—as his trademark. The Scarlet Pimpernel, as he is called, is revealed to us to be Sir Percy Blakeney, a British aristocrat who pretends to be a foppish and ineffectual dandy in order to throw off suspicion. Even his disgusted French wife is unaware of his secret identity. The French, however, figure out that the Pimpernel is English and send an emissary, Chauvelin, to London to find him. 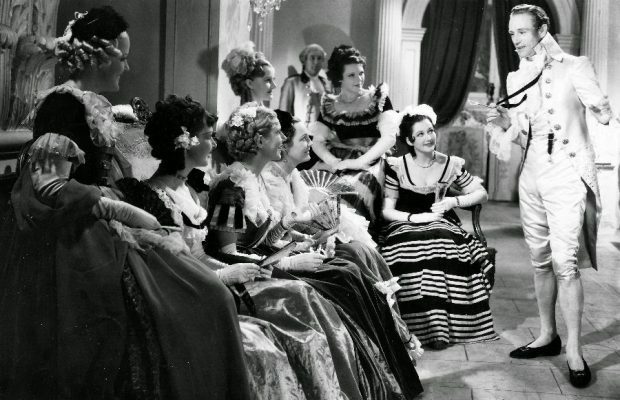 The Scarlet Pimpernel has been a popular source for moviemakers, over the years. 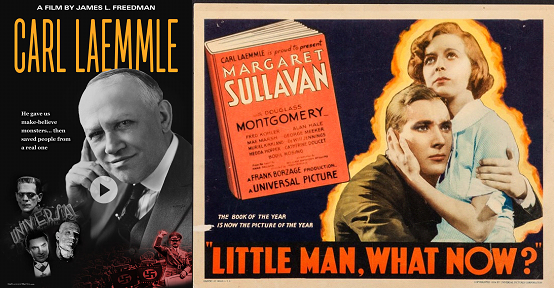 It was made into several silent films and remade countless more times for film and TV. 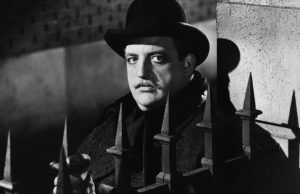 Korda himself oversaw two further versions—a sequel, The Return of the Scarlet Pimpernel (1937), with a different cast, and a remake, The Elusive Pimpernel (1950), directed by Michael Powell and Emeric Pressburger. Leslie Howard directed an entertaining, modern-day version of the story in 1941, called Pimpernel Smith (also known as Mister V), in which he plays an effete academic who rescues victims of Nazi Germany.